This German theologian has had a considerable influence on XIXth century European Protestantism. His main concern was not that Christianity should not be separated from culture. 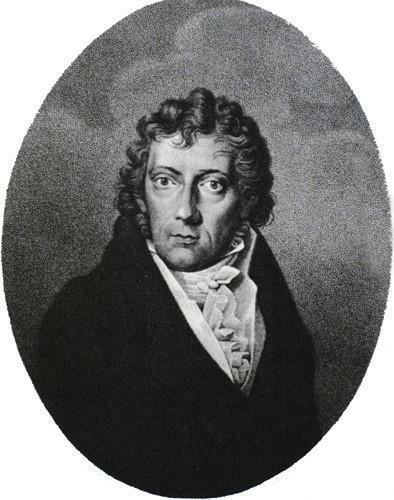 Friedrich Schleiermacher (1768-1834) © S.H.P.F. F.D.E. Schleiermacher was born in Breslau, where his father was a pastor. He was educated in Moravian schools, then at the Theological Faculty at Halle which had been founded by and still under the influence of pietism. Although very much influenced by its tendency to play on the subjective and emotional aspects of religion, he was not bound to it for long. His first pastoral appointment took him to Pomerania, where, in 1796, he became the reformed chaplain of the Charity Hospital in Berlin. This enabled him to become acquainted with the cultivated society of Berlin, especially with the main representatives of Romanticism. In 1804, he was appointed professor at the Theological Faculty in Halle. In 1807, he returned to Berlin and actively collaborated in the establishing of the new university. In 1809 he was appointed pastor of the Trinity Church, while continuing his university teaching. The latter part of his life was taken up by his threefold activity as pastor, preacher, and professor of theology and philosophy. Schleiermacher first distinguished himself with his translation of Plato, but he was best known for what was to be one of the main manifestoes of German Romanticism, published in 1799 : De la religion, discours à ceux de ses contempteurs qui sont des esprits cultivés (On religion, Address to cultivated people amongst those who despise it). His basic argument is to say to those “despisers” : « you think you are not religious, out of ignorance of what true religion is ; religion is neither knowledge nor a set of moral codes ; it is the immediate and intuitive consciousness of the infinite, of man’s absolute dependence on the infinite of God ; consequently you are really more religious than you ever thought you were ». Once he has said this, Schleiermacher invites his readers to go a little further with him : such a truly religious religion cannot be found elsewhere than in Christianity and – within Christianity – in Protestantism, but a Protestantism that takes seriously the inner testimony of the Holy Spirit and draws its obvious consequences for present times. Schleiermacher’s Address is considered a landmark, on the one hand by going beyond Kant’s moral demands through the postulate of the existence of a specific and inalienable religious dimension existing in each human being and, on the other hand, by dealing with the issue of doctrinal formulations from a most renovating angle : doctrines are no longer to be taken as revealed truths, but as being the way by which men express the awareness of their relation to God. In a place such as Berlin, where doctrinal oppositions between Lutherans and Reformed were so obviously marked, it meant that such doctrinal differences represented different ways of apprehending the same fundamental demand, and not two irreconcilable doctrinal conceptions. Schleiermacher concluded that there was no valid reason why Lutherans and Reformed should keep on holding separate services. Consequently, he suggested to King Friedrich Wilhelm III that a modified version of the official liturgy be used in Prussia. But while the theologian would have preferred using persuasion, the monarch wanted to force the adoption of the new liturgy. This caused a division in the Lutheran Church . Totally opposed to this, Schleiermacher became a stern critic of the principle of a State Church as then applied in Prussia, although he never advocated an absolute separation between State and Church as Alexandre Vinet is soon to wish for. Schleiermacher left numerous theological writings that were to have much influence on subsequent Protestant theology. The most significant is his Glaubenslehre, or “doctrine of faith” – never to be mistaken for “dogmatics“, as its purpose was not to present a series of normative dogmas, but to develop a concept of faith and its consequences that was consistent with the essence of religion as it can be perceived and lived from a Christian point of view. He also developed the following works : Hermeneutics, Philosophical Ethics, and Dialectics. He was one of the great masters of Practical Theology which, in his case, dealt both with the ministry and with the management of ecclesiastical institutions. He has been called “the father of modern Protestantism” (Karl Barth). This especially true because of the attention he paid to cultural expression. He who compared the pastor to a “virtuoso”, that is to an artist or a poet, opened wide the way for a reflection on theology intent on avoiding too strict a separation between Christianity and culture ; theology should, on the contrary, always encourage the awareness of their close relationship.